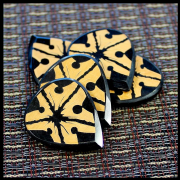 We recommend Tribal Tones for Acoustic Guitar, Gypsy Jazz Guitar, Archtop Jazz Guitar and Electric Guitar. 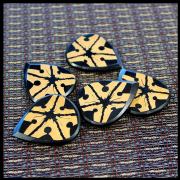 Tribal Tones are designed for those who require a seriously heavy duty and hard-wearing Guitar Pick. 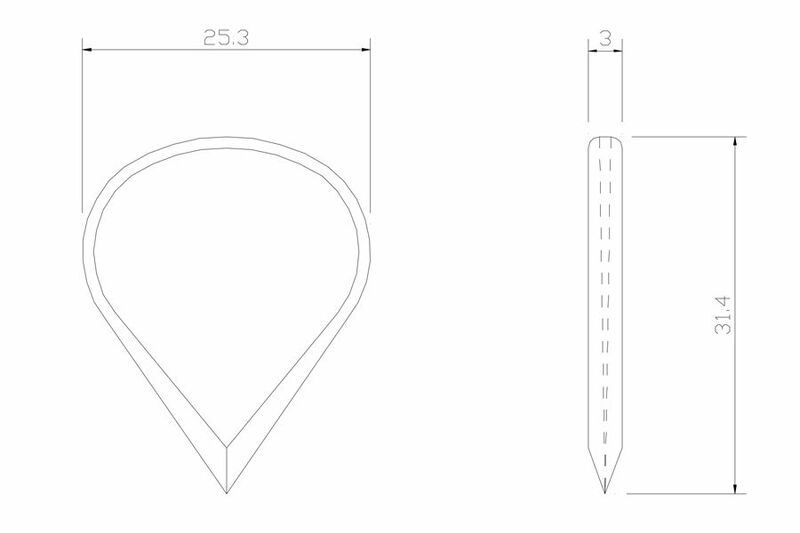 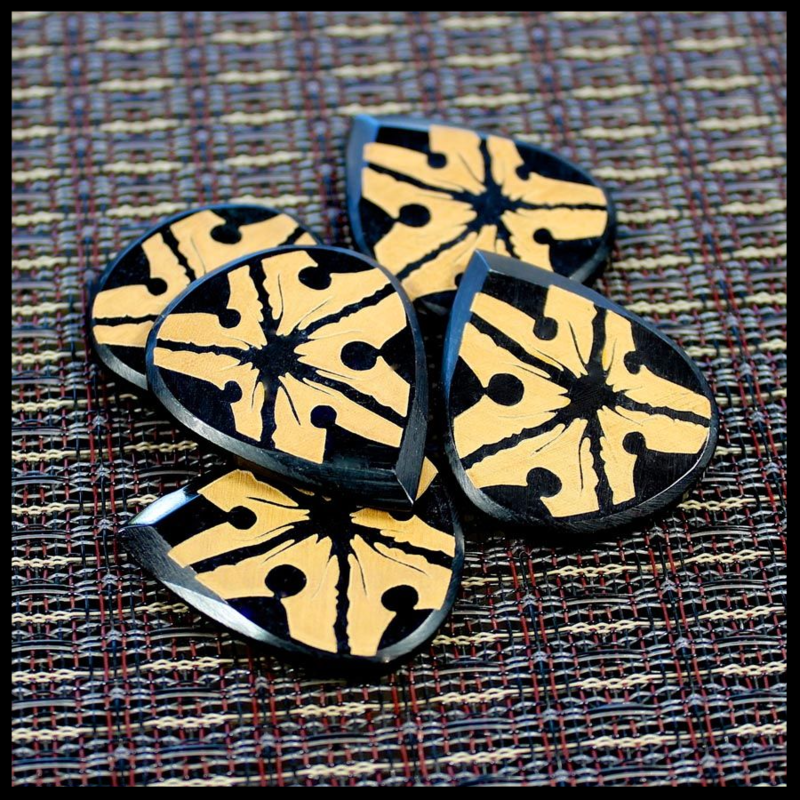 The Black Buffalo Horn is 3.3mm thick where you hold them and chamfers down to 0.7mm at the playing tip. 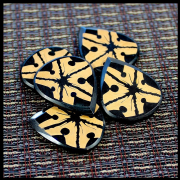 The tip is very pointed and sharp, giving precision and speed making these guitar picks ideal for thrash picking or Gypsy Jazz. 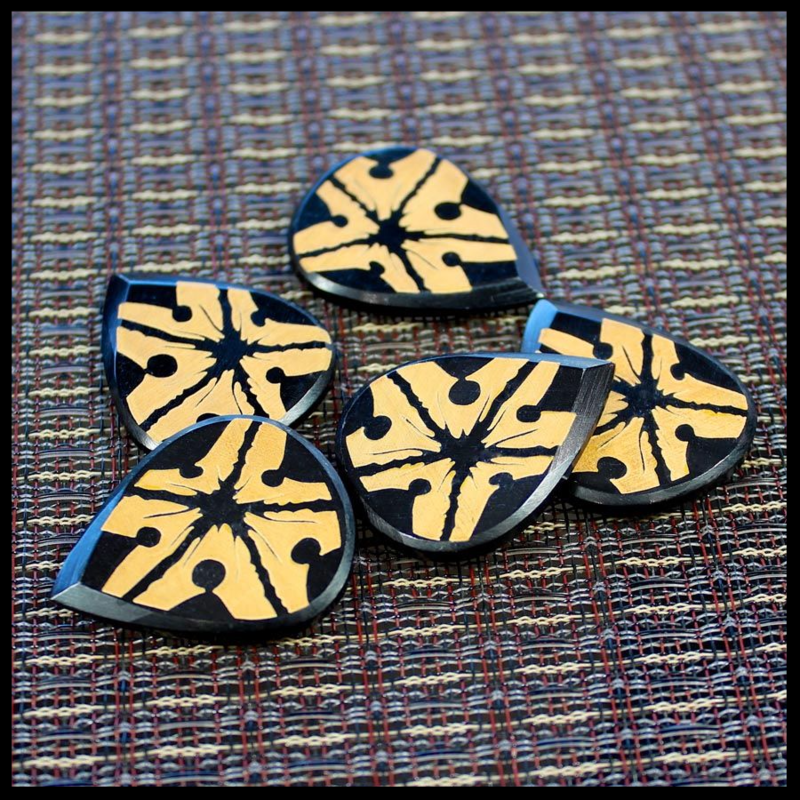 They have been Laser Etched on one side for extra grip. 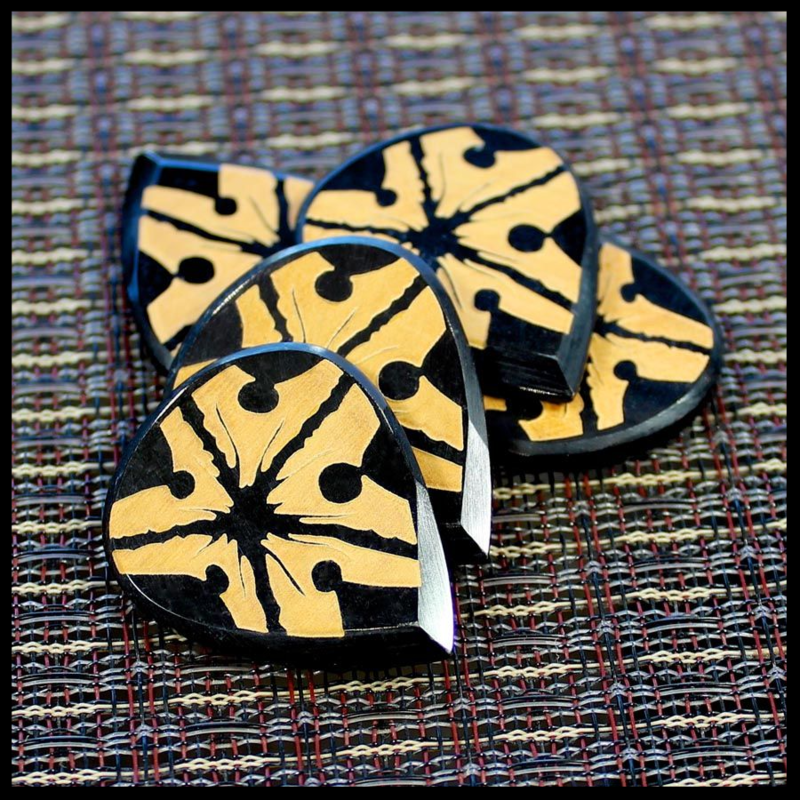 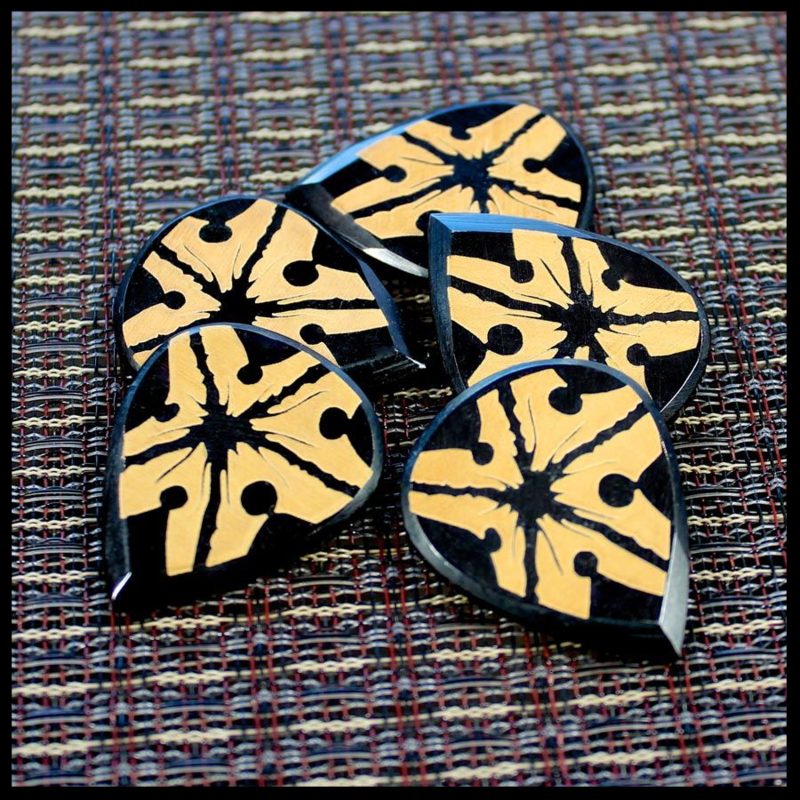 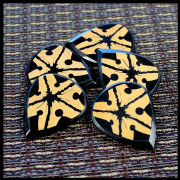 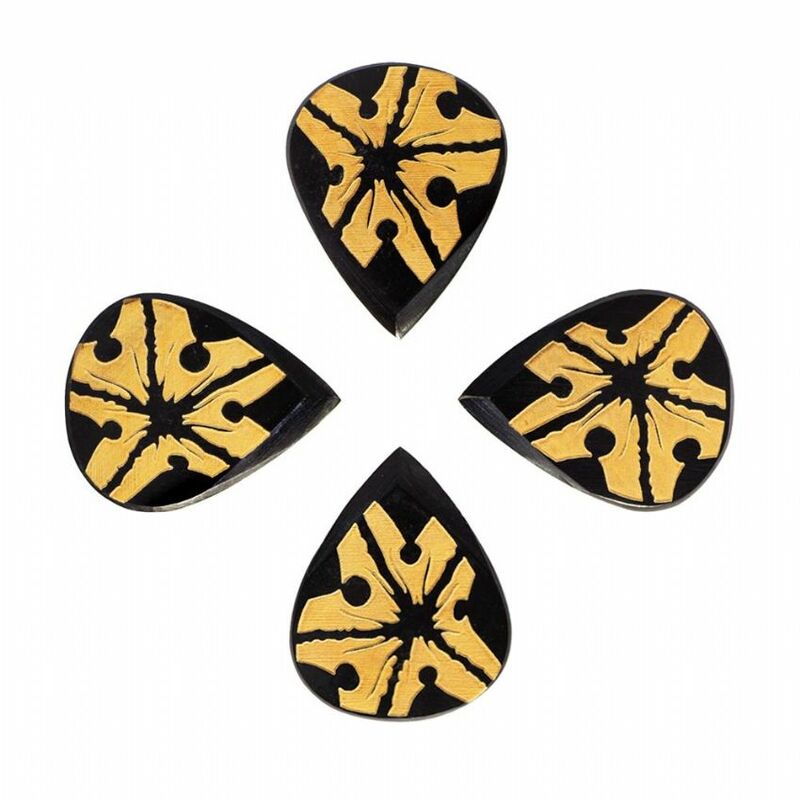 This pack contains 4 Starfish Tribal Tones Guitar Picks.